A MAN reported missing to police has been found deceased at the scene of a motorcycle crash. 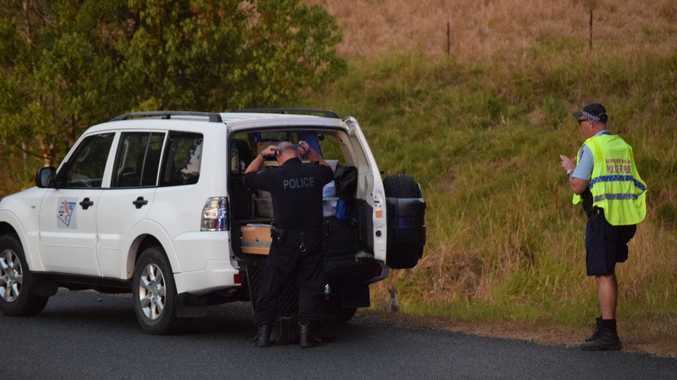 About 3am on Tuesday, September 12, police from Coffs Clarence Local Area Command were called to a home in Coramba to take a report on a 40-year-old missing man. Officers tried to determine the movements of the man. About 4.30pm on Tuesday, the missing man was located deceased at the scene of a single car crash in East Bank Road at Coramba. Investigators believe the rider failed to negotiate a bend in the road, hit a guide post, ran through a ditch and struck a fence. Police set up a crime scene at the location before the motorcycle was removed for further forensic examination. Police will prepare a report for the Coroner outlining the full circumstances leading up to the man's death.